Do you have photos, historical accounts or other items pertaining to the Hines area? Would you like to share this historical information with the world? LakesnWoods.com would like to publish your Hines photos (current or historical) or historical accounts on this website. Original materials can be returned and your privacy will be respected. Hines is an unincorporated community in Beltrami County, Minnesota, United States. 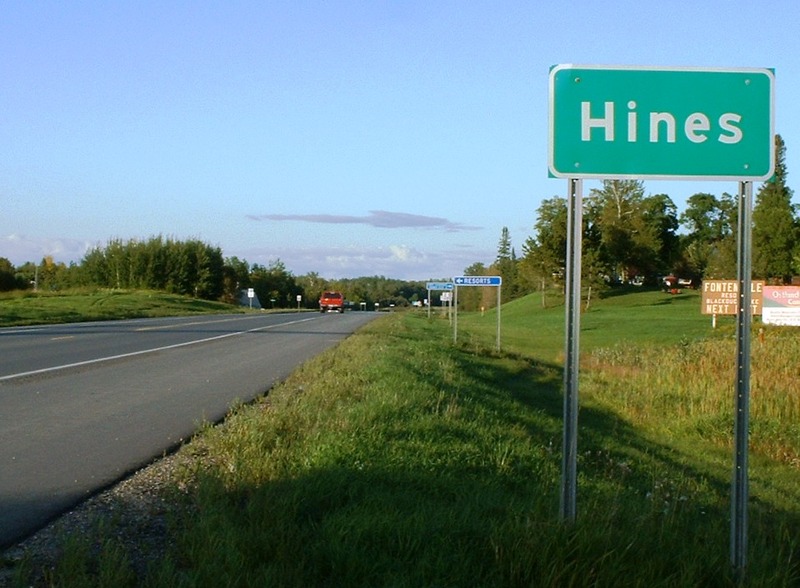 Hines is located on U.S. Route 71 3 miles (4.8 km) northeast of Tenstrike located in Hines Township. As of the census of 2000, there were 674 people, 244 households, and 192 families residing in the township. The population density was 22.1 people per square mile (8.5/km²). There were 312 housing units at an average density of 10.2/sq mi (3.9/km²). The racial makeup of the township was 96.88% White, 2.08% Native American, 0.15% Asian, and 0.89% from two or more races. Hispanic or Latino of any race were 1.19% of the population. There were 244 households out of which 32.4% had children under the age of 18 living with them, 68.9% were married couples living together, 4.9% had a female householder with no husband present, and 21.3% were non-families. 17.6% of all households were made up of individuals and 6.1% had someone living alone who was 65 years of age or older. The average household size was 2.76 and the average family size was 3.14. In the township the population was spread out with 27.2% under the age of 18, 7.0% from 18 to 24, 24.5% from 25 to 44, 28.2% from 45 to 64, and 13.2% who were 65 years of age or older. The median age was 39 years. For every 100 females there were 110.0 males. For every 100 females age 18 and over, there were 108.1 males. The median income for a household in the township was $42,292, and the median income for a family was $46,250. Males had a median income of $33,750 versus $23,571 for females. The per capita income for the township was $17,342. About 6.5% of families and 9.3% of the population were below the poverty line, including 12.0% of those under age 18 and 22.0% of those age 65 or over. HINES, a community in Hines Township, section 28, was established in 1904 with its post office, located one mile east of an earlier site settled in 1892 on the south shore of Blackduck Lake by William Hines, who operated a farm and sawmill, and named for the Hines family; it had a station of the Minnesota and International Railway. A railway station in Black Duck Township was also named for William Hines. 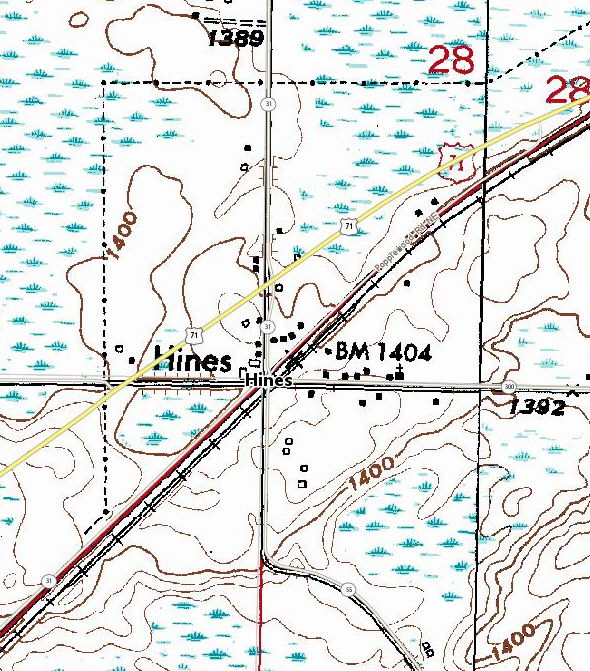 Settlement of this area of Beltrami County really took off in 1896, although an 1893 survey of the area that was to become Hines Township listed the names of Crandel and Torrey as already living there. It was the proposed railroad, the opening of the land for homesteading and the logging of the virgin pine that drew the pioneers to this area. Among the early settlers were G. Hower, Z. Theriault, M. Phibbs, T.C. Newcomb, W.F. Tripp, Olaf Enstrom, William Hines, and Arthur Page. The first woman homesteader was Sarah Crandall, whose claim was on the east shore of Blackduck Lake. A daughter, Kate, was born to Mr. and Mrs. William Hines in 1897, the first white child born in Hines Township. She later became Mrs. John Erickson and died in 1975. Hines Township was organized in 1899 under the name of Blackduck Township. However, because of the confusion this caused in the mail delivery with the town of Blackduck, the name was changed in 1915 to Hines Township. 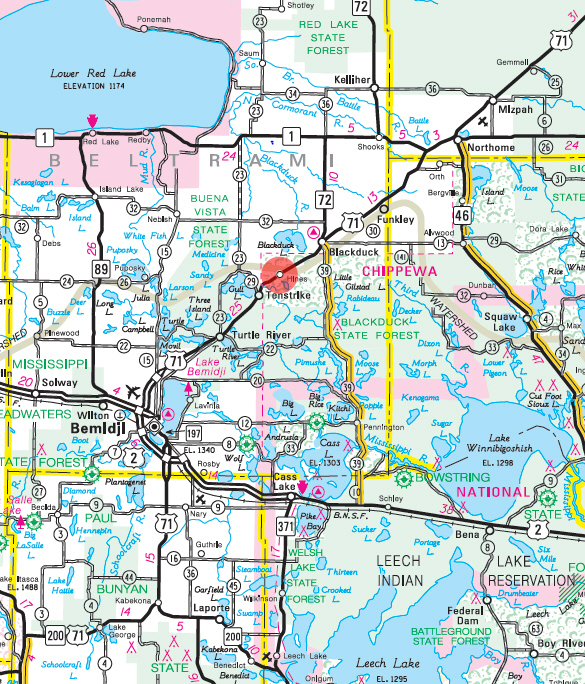 Settlers moved into the area, near Blackduck Lake, thinking a town would be located there. When the railroad came through in 1901, the town moved to the railroad, its present site. With the arrival of the railroad came the logging industry with Crookston and Weyerhauser as the biggest logging company. William and Jabe Hines built a spur from the railroad in Hines to Blackduck Lake and it was used for about seven years. About 40 million feet of timber was taken out through Blackduck Lake in 1903 alone. The Bovey and Delator logging company built a spur from the railroad to Funk Lake in 1902 and another spur was built to Rabideau Lake by the logging company of Walker and Akeley. It took about seven years to get all of the timber out of the area and when the logging industry went, so did many of the residents of Hines. Among the loggers to stay were William Hines, Arthur Page, and Charles Johnson. Early businessmen included Virgil M. Owen (general store), Charlie Carter (mill), and Goldie Collison (confectionery). The Hines State Bank was started in 1919 with H.C. Baer as President, E.E. Schulke as Vice-President, and Herb Swanson as manager and cashier. It had a capital of $12,000. The bank was located next to the confectionery until the bank closed in 1929 because of the stock market crash. At that time Goldie moved his store into the old bank building and used the old confectionery as living quarters. Oh yes, the bank was even robbed at one time! The first school in Hines was held in the H.C. McBride shack in 1900. There was one long desk made of plain pine boards with the nine students sitting at this desk. The students were Howard, Clara, and Ethel Newcomb, Olive and Kate Hines, and Axel, Selma, and Lena Peterson. Mr. McBride was the teacher and he used books brought from North Dakota by Mrs. Newcomb. In the spring of 1900 the school district granted $500 in bonds to build a school. 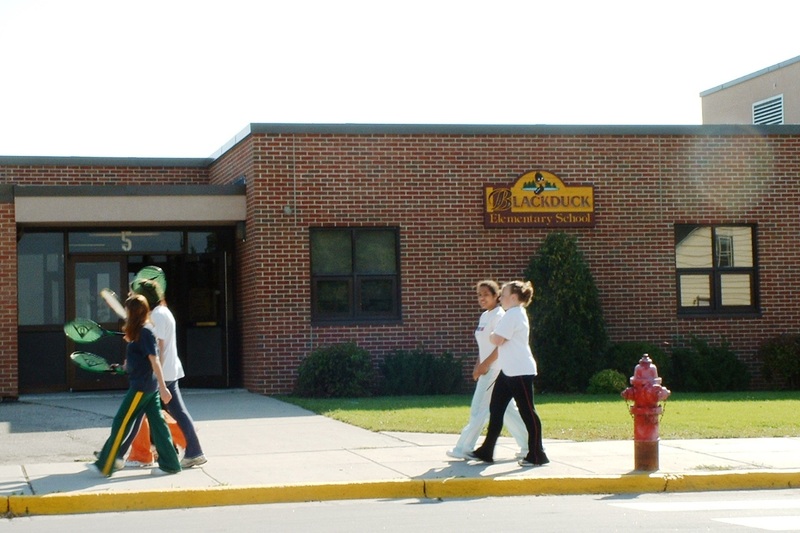 However, two schools were built, one in town and one called the Lakeview school, located north of Blackduck Lake. There was also one in the northwestern part of the township called the Cedar Park School. In 1913 a two story consolidated school with all modern facilities was built in Hines and the pupils from the other two districts were bussed into town. Besides the elementary grades, two years of high school classes were provided. 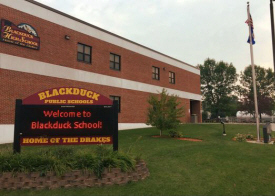 In 1957 the school was closed and the pupils were transported into Blackduck. Post Offices were located in several places throughout the area. 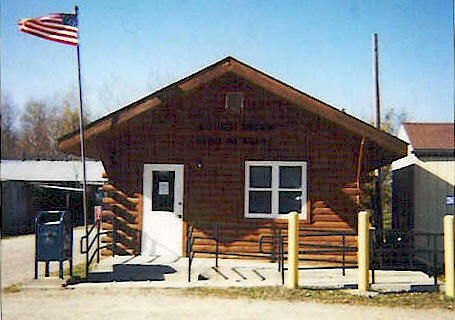 Hines-Summit Post Office in Blackduck was established in 1900; Raelph Post Office on the northwest shore of Blackduck Lake; Dysart Post Office on the west shore of Blackduck Lake in 1898, and the railroad appointed Melvin Johnson as postmaster in Hines until V.M. Owen became the first official postmaster in 1904. His post office and store burned in 1908 and three lives were lost. 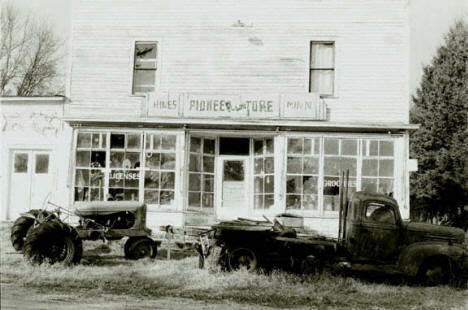 Mr. Owen rebuilt and this building also burned; then he built what became the Pioneer Store. The post office was moved to the west side of the depot in 1922. O'Brien's were the operators until 1963 when the Blackduck Telephone Company took over. The depot was built in 1922 with Ed Spitskey as agent. The town hall was built in 1921 and was used as a gym for the school but was also rented out for dances, talent shows, basketball games, and church activities. 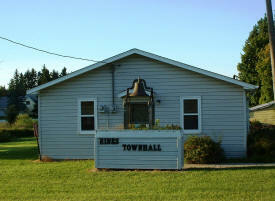 This hall served the community until 1977 when it was torn down and the present town hall was built in 1997 in the same area. Hines Township celebrated its 100th birthday on August 29, 1999 from 1:00-4:00 p.m. at Pine Tree Park on Blackduck Lake. Two hundred and forty-six registered guests enjoyed an old-fashioned picnic and lots of memories. Several residents talked about old times in the township. Much of the discussion centered around the weather, transportation, and making a living. A centennial scrapbook was made with pictures, newspaper articles, etc., and this is available for viewing at the Hines Town Hall; as well as copies of the centennial celebration booklet. Information for this article came from the "Hines Township: 1899-1999" - written by Betty Rossi, Jan Oslund's "History of Hines, Minnesota", and the Hines Township article written by Mrs. Erbert Ostlund, which was in the Blackduck Bicentennial Booklet in 1976. 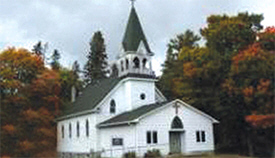 The First Lutheran Church of Hines held its first service in the school house on Sunday, July 25, 1915, with the Rev. J.H. Randahl preaching in both Swedish and English. On July 31st, 1917, the basement of the church had been completed and appropriate cornerstone laying ceremonies were held. The first meeting in the church basement was held on Sunday, November 10, 1918. In 1919 the Hines pastorate was organized consisting of Hines, Shotley, and Quiring. The dedication of the church took place on July 28th, 1926. The church closed in October of 2012 after 97 years of service to the community. Blackduck Lodge and Resort provides authentic log cabins that were used by loggers in the early 1900’s. 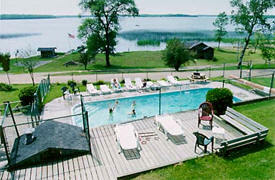 Blackduck Lodge and Resort offers genuine log cabins that have been updated for a comfortable vacation. At Dunrovin, we not only cater to those who love to fish, hunt, snowmobile & ice fish, but to the entire family! Great news... We are open all year round! Blackduck Lake has some of the best walleye & jumbo perch fishing in Minnesota! 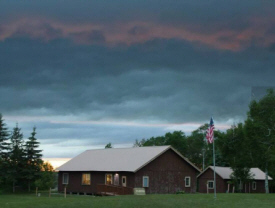 Our cabins are located at Dunrovin Resort on the north shores of Blackduck Lake. Our affordable, family & pet friendly resort has many things to offer. Inside our lodge we have a game area, small convenience store with everything from bait to treats! Free outside activities include: Water Trampoline, canoes, paddle boats, kayaks, paddle board, sandy beach, sand volley ball & tether ball, playground & shallow swim area. 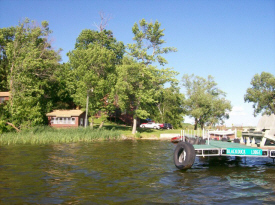 Located on Blackduck Lake with spacious camping hookups available, 7 cabins, playground, extended docks and bait house on site you are bound to go home with a good tale or two to tell. The family resort on the fisherman's lake. 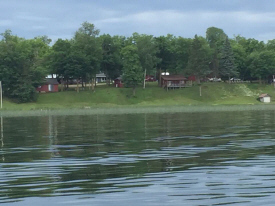 Well spaced cottages on one of Minnesota's finest walleye lakes. Beach and large heated pool. Free use of paddle boat, canoe, kayaks & water funbugs. Dining and golf within a mile. Visit our cabins, grounds, lodge, & pool area to appreciate our beautiful family resort! There is something for everyone here at Tomahawk Lodge Resort. 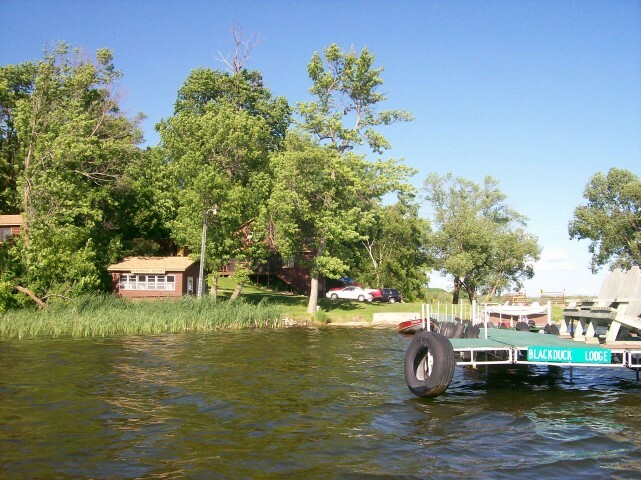 Whether you are an avid fisherman or a beginner looking for your first walleye you can rest assured you will be satisfied with all this area has to offer. Surrounded by awe inspiring panoramic views of deep greens and blue landscapes, combined with unspoiled natural beauty of birch, spruce, maples, vibrant sunsets and calm summer breezes, this beautiful lake front resort, originally established in 1932, is proud to be offering a truly unique hi-end boutique resort experience, like no other in Minnesota. 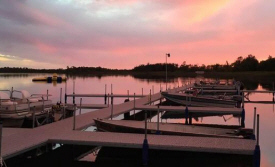 This BRAND NEW 5-STAR ALL-INCLUSIVE resort in Minnesota now offers luxury vacation homes and cabin accommodations overlooking Blackduck Lake and the “lazy” knee deep Blackduck River, just minutes north of Bemidji, 3 ½ hours north of Minneapolis, 3 hours east of Fargo and 1 hour south of Canada. The family owned company has been serving the auction industry for nearly 30 years while conducting a combined 6,000 plus auctions of various types throughout Midwest and across the Nation, Specializing in Real Estate, Land and Ag/Contractor Equipment. Also in addition, they conduct Classic and Antique Tractors/Auto’s, Sporting/Firearms, as well as Commercial, Estate, Specialty and Benefit Auctions. Situated on beautiful Blackduck Lake, Hillcrest Supper Club has been providing pleasant dining experiences for over 38 years. From the freshly baked bread to flavorful salad dressings, we take pride in serving up food that is made-from-scratch each and every day. Our menu has unique items not found at many other places like mouthwatering bone-in prime rib and our carefully chosen weekly specials are crowd pleasers. Hillcrest Supper Club has dock access on Blackduck Lake for boaters and we'll even come down to pick you up! We are 3 miles west of the city of Blackduck and within walking distance of Teepee Tonka Reort and Blackduck Golf Course.